Categories: Brands, Digital Storage Oscilloscope, Digital Storage Oscilloscope, Electrical & Electronic Test, Siglent. ◆ Segmented acquisition (Sequence) mode, divides the maximum record length into multiple segments (up to 80,000), according to trigger conditions set by the user, with a very small dead time segment to capture the qualifying event. ◆ History waveform record (History) function, maximum recorded waveform length is 80,000 frames. The four channel series has two 1 GSa/s ADC chips (channel 1 and 2 share one, channel 3 and 4 share another), so that each channel can achieve sample rates up to 500 MSa/and work on bandwidths of 200 MHz when all channels are enabled. Using hardware-based Zoom technologies and max record length of up to 14 Mpts, users are able to oversample to capture for longer time periods at higher resolution and use the zoom feature to see more details within each signal. 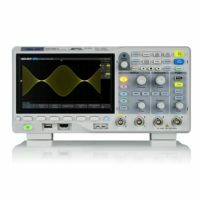 With a waveform capture rate of up to 400,000 wfm/s (sequence mode), the oscilloscope can easily capture the unusual or low-probability events. SDS1000X-E displays the decoding through the events list. Bus protocol information can be quickly and intuitively displayed in a tabular format. Playback the latest triggered events using the history function. Segmented memory collection will store trigger events into multiple (Up to 80,000) memory segments, each segment will store triggered waveforms and timestamp each frame. At any one timebase, SDS1000X-E can measure using all 14 M sample points. This ensures the accuracy of measurements while the math coprocessor decreases measurement time and increases ease-of-use. 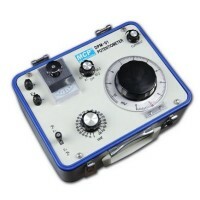 Through Gate and Zoom measurement, the user can specify an arbitrary interval of waveform data analysis and statistics. This helps avoid measurement errors that can be caused by invalid or extraneous data, greatly enhancing the measurements’ validity and flexibility. The new math co-processor enables FFT analysis of incoming signals using up to 1 M samples per waveform. This provides high frequency resolution with a fast refresh rate. The FFT function also supports a variety of window functions so that it can adapt to different spectrum measurement needs. The SDS1000X-E utilizes a hardware-based Pass/Fail function, performing up to 40,000 Pass / Fail decisions each second. Easily generate user defined test templates provide trace mask comparison making it suitable for long-term signal monitoring or automated production line testing. The current parameters of the oscilloscope can be preset to Default Key through the Save menu. 16 digital channels enables users to acquire and trigger on the waveforms then analyze the pattern, simultaneously with one instrument. WiFi control of instrumentation can provide a convenient and safe method of configuring and collecting data. This new feature works with a SIGLENT approved WiFi adapter to provide wireless control and communications with SIGLENT 4 channel scopes. The adapter must be supplied by Siglent to ensure working. The four channel series supports a USB 25 MHz function/arbitrary waveform generator that is operated from the USB host connection. 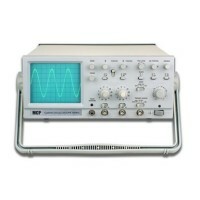 Functions include Sine, Square, Ramp, Pulse, Noise, DC and 45 built-in waveforms. The arbitrary waveforms can be accessed and edited by the SIGLENT EasyWave PC software.